Dealing with debt collection issues can be challenging—especially when you’re not sure if the person you’re being contacted by is legitimate or trying to scam you. When an account like a credit card, auto loan, or cell phone bill becomes past due, the original creditor may attempt to collect the amount owed. The creditor may also hire a debt collector or sell the debt to someone who may try to collect the debt. While there are many legitimate debt collectors in the financial marketplace, there are also scammers who may try to get you to pay on debts that you don’t owe or on debts that don’t even exist. A debt collector must tell you information such as the name of the creditor, the amount owed, and that if you dispute the debt the debt collector will have to obtain verification of the debt. If the debt collector does not provide this information during the initial contact with you, they are required to send you a written notice within five days of that initial contact. Scammers like these payment methods because they may be untraceable, and it can be hard for you to get your money back. But beware, if the debt comes from the criminal justice system, it is possible that failure to pay may result in your arrest. Some scammers may try to get you to pay by threatening to reveal your debts to family, friends, coworkers, or employers. A debt collector is generally not allowed to tell other people about your debt without your permission. They can only ask others about your whereabouts to try and contact you. Ask questions to make sure the debt is one that you owe. Such as your bank account, routing numbers, or Social Security numbers. You should never provide anyone with your personal financial information unless you are sure they’re legitimate. Scammers can use your information to commit identity theft. 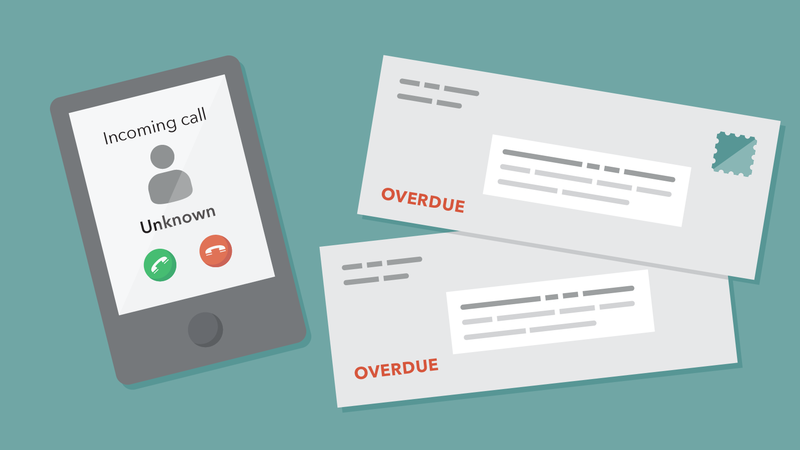 Debt collectors cannot call you at an unusual time or place or at a time or place they know is inconvenient to you. You might be dealing with a scammer if you are called before 8 a.m. or after 9 p.m. If you’re uncomfortable providing any information, you can request the caller’s name, company name, street address, and a callback number. You can use this information to verify that they are not a scammer before providing any personal information. Also, if you call back and the business doesn’t answer as the name they provided to you or it’s a nonfunctioning number, it could be a scam. Make sure you have been given information or have received the written notice with information about the debt before you pay anything. If you suspect you are dealing with a scammer, contact the creditor the debt collector claims to be working for and find out who has been assigned to collect the debt. You are entitled to a free credit report every 12 months from each of the three major consumer reporting companies. To get your free credit report authorized by law, go to AnnualCreditReport.com or call (877) 322-8228. Keep in mind that not all debt collectors and creditors provide information to the credit reporting companies. If the debt is not on your credit report, that does not necessarily mean the debt is not valid. The Fair Debt Collection Practices Act prohibits debt collectors from engaging in a variety of practices, such as misrepresenting the debt, falsely claiming to be a lawyer, or using obscene or profane language when trying to collect a debt. If you have received a suspicious call or think you’ve been the victim of a debt collection scam, you can submit a complaint with the Federal Trade Commission or you can contact your state Attorney General’s office .